To attain and maintain National and State Ambient Air Quality Standards and to insure air pollutants do not pose a nuisance or significant public health threat. 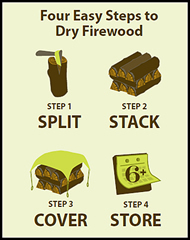 The District is currently out of Wood Smoke Reduction Program funds. The Program offers rebate vouchers of up to $4,000 for replacement of a non-certified woodstove with an EPA-certified woodstove, or installation of a natural gas/propane insert in a fireplace used as the home's primary source of heat. In recognition of the need to reduce agricultural-related emissions, State Legislature allocated financial incentives for replacement of older agricultural harvesting equipment, heavy-duty haul trucks, agricultural pump engines, tractors, and other equipment used in agricultural operations. To achieve this goal, the California Air Resources Board (CARB) developed the Funding Agricultural Reduction Measures for Emission Reductions (FARMER) program. The District’s FARMER program provides up to 80% funding for the replacement of diesel-fueled agricultural vehicles, equipment, and engines operating in Eastern Kern County. Carl Moyer Program (CMP) guidelines are used to determine FARMER program eligibility and grant award amount. • $2,000 for purchase of a Partial Zero Emission Vehicle (PZEV) with an EPA Smog Score of 8 or 9. 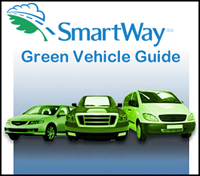 • $3,000 for purchase of a Zero Emission Vehicle (ZEV) with an EPA Smog Score of 10. If you are unable to download program guidelines/application, you can request a package be mailed to you by calling (661) 862-5250 or emailing ekapcd@kerncounty.com. The March 2019, issue of the District's quarterly news letter the "Desert Breeze" is now available. Click Here to download a copy. Hard copies are mailed to subscribers and made available at the District office. Future issues can be accessed on this website on the Desert Breeze page. On December 19, 2018, the Kern County Fire Department announced start of open pile/hazardous reduction burning within the State Responsibility Area (SRA). Be advised: You must acquire a burn permit from your local fire department and call them to ensure it is a designated burnday prior to ignition. Click for more info. Smoke is made up of a complex mixture of gases and fine particles produced when wood and other organic matter burns. The biggest health threat from smoke comes from fine particles. These microscopic particles can get into your eyes and respiratory system, where they can cause health problems such as burning eyes, runny nose, and illnesses such as bronchitis. Fine particles also can aggravate chronic heart and lung diseases and are even linked to premature deaths in people with these conditions. The Eastern Kern Air Pollution Control District (District) adopted the AB 617 BARCT Expedited Implementation Schedule November 1, 2018, at a public meeting beginning 2 p.m. at the Tehachapi Police Department Community Room 220 West “C” Street, Tehachapi, CA. The AB 617 BARCT Expedited Implementation Schedule was adopted to comply with provisions of CH&SC §40920.6(c) (AB 617). The District’s Board of Directors recently adopted a Reasonably Available Control Technology State Implementation Plan (RACT SIP) and Ozone Attainment Plan. The RACT SIP was prepared to satisfy requirements of the Federal Clean Air Act (FCAA). The FCAA requires ozone nonattainment areas to implement RACT for sources subject to control techniques guidelines (CTGs) issued by the Environmental Protection Agency (EPA), and for “major sources” of volatile organic compounds (VOCs) and oxides of nitrogen (NOx), which are ozone precursors. The Ozone Attainment Plan presents the District’s strategy (including related mandated elements) to attain the 2008, 8-hour Ozone National Ambient Air Quality Standards (NAAQS) by 2020, as required by FCAA. Click the links below to download copies of each plan.